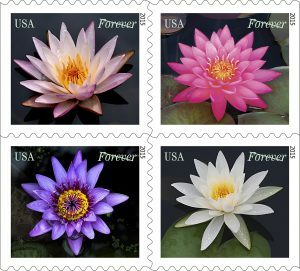 Spectacular photographs celebrate the beauty and elegance of water lilies with four new Forever stamps available nationwide at U.S. Post Offices. 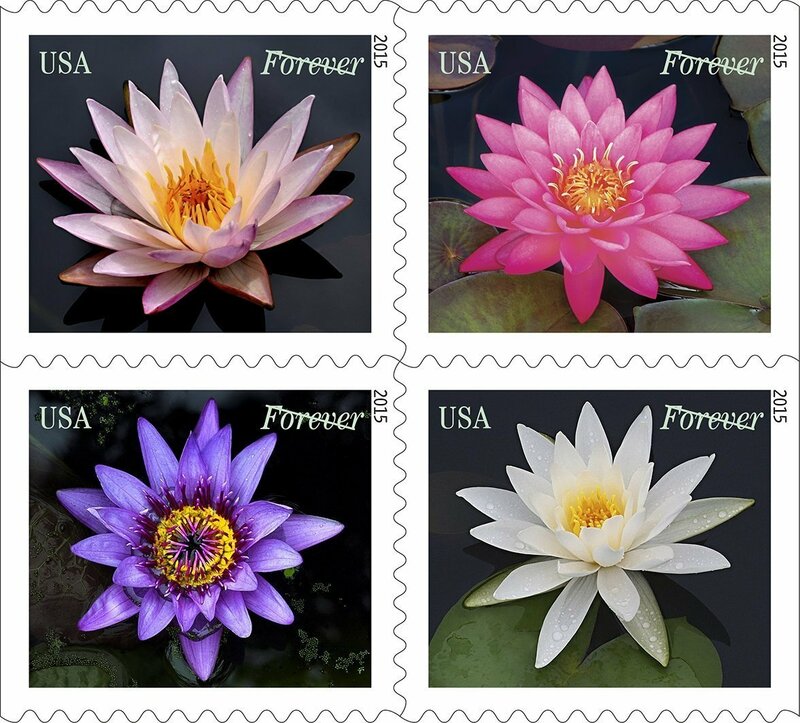 The Water Lilies Forever stamps were dedicated at the Garfield-Perry March Party Stamp Show in Cleveland in mid-March 2015. The Postal Service typically prints between 20 million and 40 million stamps of an individual subject. Half a billion Water Lilies Forever stamps were printed in anticipation of extreme customer demand. The appreciation for the beauty of water lilies has a long history. The plants take their botanical name, Nymphaea, from the nymphs, nature deities from Greek mythology. Water lilies are featured often in the art of the Maya, an ancient Mesoamerican culture. Some of the most well-known paintings of French impressionist Claude Monet were of water lilies; the artist dedicated the last decades of his life to capturing the beauty of the lily pond on his estate in Giverny, France. Water lilies are aquatic herbs that live in both temperate and tropical climates around the world. Found in still freshwater habitats, most of the more than 50 species of the water lily family (Nymphaeaceae) have round waxy leaves that float on the surface. They are attached to long stalks that rise from thick underwater stems. The flowers of the hardy water lily sit at or slightly above the water’s surface; the flowers of tropical water lilies, which produce more blossoms each season than the hardy variety, are held aloft on stems several inches from the surface. 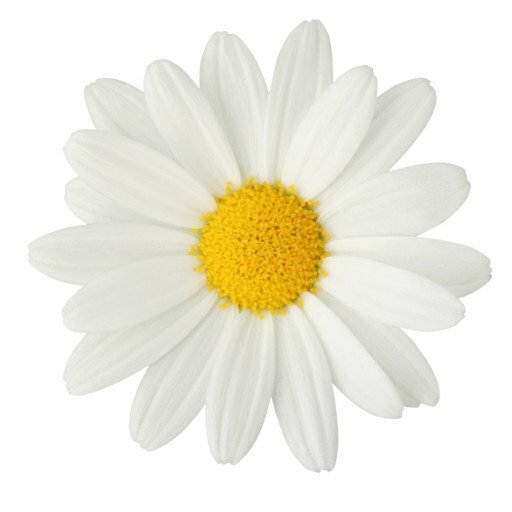 Although delicate looking, the flowers are tough and hardy. They grow well in water gardens in much of the U.S. Tropical water lilies, which require water temperatures above 70 degrees, have a more limited range, but the flowers are larger and more vibrantly colored. Water lilies bloom in the U.S. from spring to fall. Many water lilies bloom only during the day, but there are several night bloomers whose flowers open in the late afternoon and close at morning’s light. Customers may purchase the stamps at usps.com/stamps , and at Post Offices nationwide or visit ebay.com/stamps to shop for a wide variety of postage stamps and collectibles. After applying the first-day-of-issue postmark, the Postal Service will return the envelopes through the mail. There is no charge for the postmark up to a quantity of 50. For more than 50, customers are charged 5 cents each. All orders must be postmarked by May 19, 2015. The Postal Service also offers first-day covers for new stamp issues and Postal Service stationery items postmarked with the official first-day-of-issue cancellation. Each item has an individual catalog number and is offered in the quarterly USA Philatelic catalog, online at usps.com/shop or by calling 800-782-6724. Customers may request a free catalog by calling 800-782-6724 or writing to: U.S. Postal Service Catalog Request PO Box 219014 Kansas City, MO 64121-9014.